Educational Jeju Stone Park displays collections of interesting rock formations molded by nature itself. The park offers three courses to explore, each with its own charm. Take the first route to see the mother’s room exhibiting a rock formation whose shadows form a silhouette of a mother holding a child. The second course showcases typical thatched house-type structures, while the third route offers reproductions of traditional villages. Highlights include the displays of dead tree roots with interesting formations--some actually resemble animals. You can get an audio guide in English from the ticket office. You can plan Jeju trip in no time by asking Inspirock to help create your itinerary. 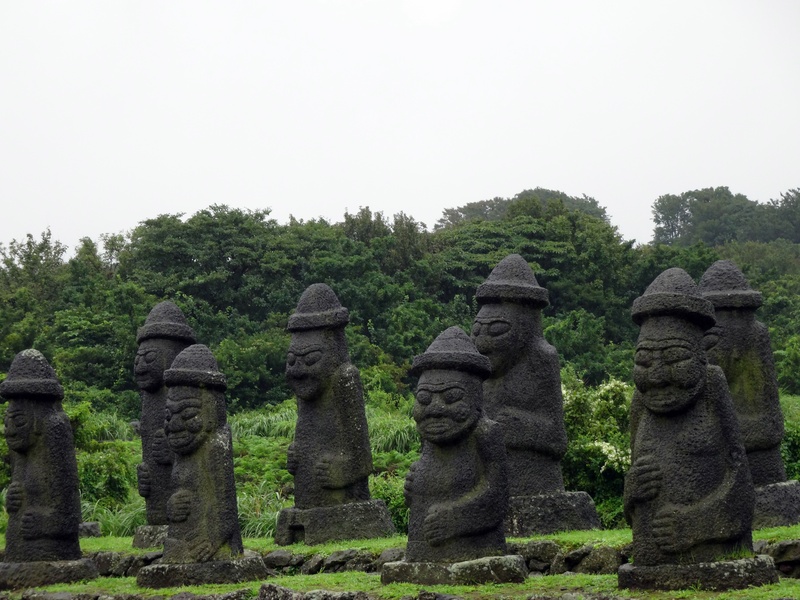 A stone culture park where you can see the whole history of Jeju Island. The museum in the park is designed to give you a good understanding of the origins and creation of Jeju Island. And you can walk around the stone paths and enjoy a variety of stone and traditional stone towns. A gallery of five hundred generals and forest trails. Admission is 5,000 won. But the entrance fee is worth it.